The wait is over for you twenty somethings that have long awaited of this day. 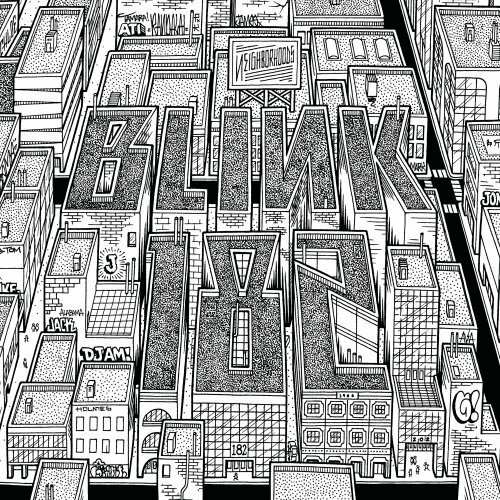 Blink 182 have been kind enough to upload their new album, Neighborhoods, in full via Youtube. To me it sounds like old Blink and from scanning Twitter most fans seem happy with it. With Tom's guitar and vocals paired with Travis' undeniable driving drum beats added to Mark's melodic choruses and bass lines, it was bound to make you look back to a time in your life when all you had to worry about was school and girls. If you're now a teacher with girlfriend/wife troubles I suppose your days may be quite similar, so I apologise to you, but to everyone else enjoy it, it's been a long time coming. After the jump you can stream the album in full. Happy Thursday from Mark, Tom and Travis. Neighborhoods officially drops on September 27th. NOTE: Apologies for my being English and the British spelling of 'Neighborhoods'. Fixed. Pssshhh. As Kibbe says, I am a britch. UPDATE: The previous streams were taking it down but you can now hear the full album OFFICIALLY over at KROQ.